Its fall the leaves are changing and the Bluegrass Kayak Anglers 2 day Classic on Cave Run lake is here, not only is it the last tourney of the year but if you are in the hunt for some AOY point in the Bluegrass each day counts as a tourney so if one was to do well two days in a row could gain some serious AOY points. Before for Cave Run Lake going over the AOY points it looks like about the top 15 anglers got a shot at the AOY title and all of them are amazing sticks it’s a total honor to just compete against these guys. 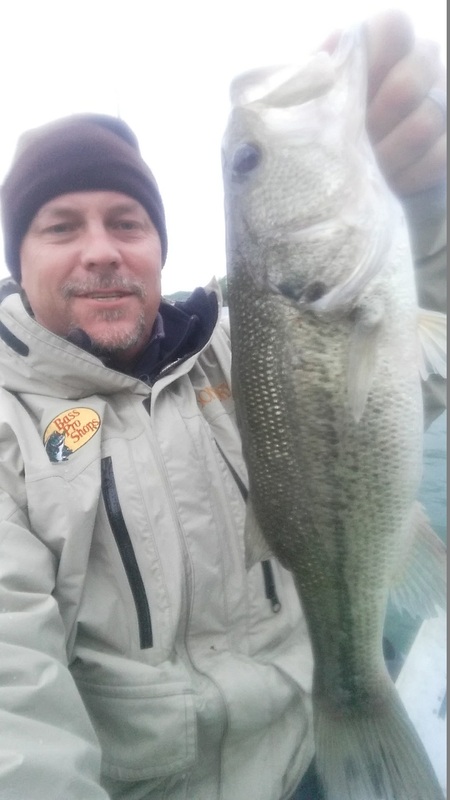 On the drive down my mind wanders back over the season, all the way back to a phone call I had with Chad Hoover, who in so many words told me to avoid going head to head with the KY anglers, hurting my pride I resolved myself too going head to head every chance I could. 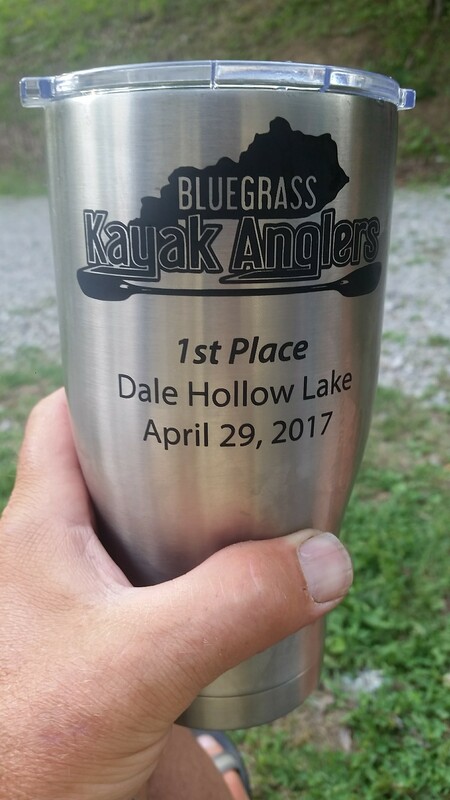 The Bluegrass Kayak Anglers s Cave Run Classic was having extra meaning for me. The lake greets me with amazing looking cloudy skies, warm weather and the it is full of wood rock and weeds. Dropping 2 inches of water in 24 hours for some dock work, hearing the bite has suffered from this, a smile cracks my face these conditions tend to be when I do my best when conditions are tougher. 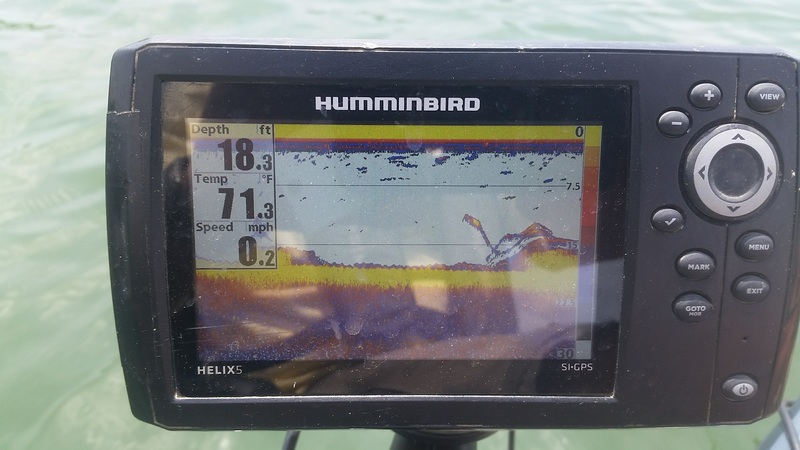 Heading out on the main lake to look for and fish a bunch of man made fish attractors near the channel since there is going to be current, hoping to find bait fish holding to the channel ledges and fishing any anomalies I can find that Large mouth could sit on. Playing to my strength fishing structure with a small worm on a ledge. But this train made no stops here and the fish just weren’t biting for me, catching two dinks. “Not to worry I have more days to find them.” I tell myself but I need to do better. Day three hits and I am now starting to think that there is no pattern that its just going to be a grind of turning over new water and thats what I do all day and I totally blanked! Thinking maybe its like that for everyone till my buddy AJ Mcwhorter sends me a text of how he was killing it being on the water for only 2 hours. One wheel just came off the track mentally, normally I have zero issues keeping that focus or keeping it together but this time a crack has formed. Finding my fish in 3 inches of water to 30 ft of water was not helping. Now my mind is yelling at me to do better. Finally Tourney day and for the first time this year I was not excited, it was like waking up to a dark room. As soon as I launch my boat that cold dark gloomy feeling left finding a rock wall and catch two dinks back to back this day is looking better already. The grind was real as I never found another fish and that crack in my confidence grew wider, you could hear it as it cracked more. 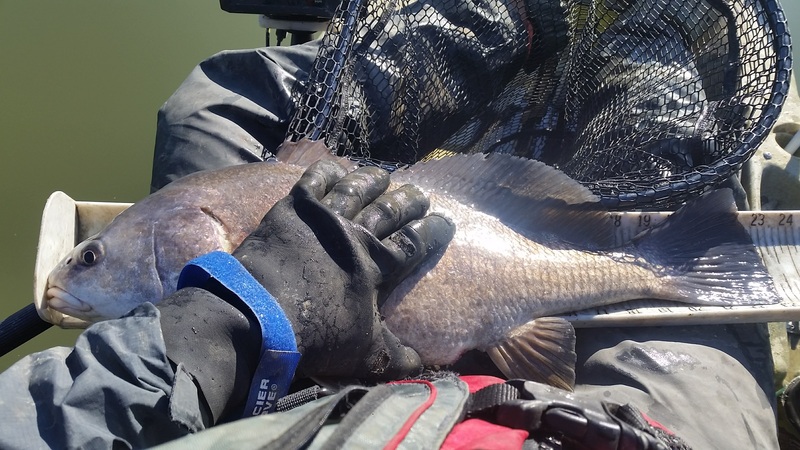 The absolute worst thing that a competitive angler can do is have a lack of confidence, even in the worst of conditions its only one cast away and everything can change. If it wasn’t for some good friends, I may have left and I would have never forgiven myself if I did even writing about this has me a little ticked off that I was contemplating leaving. Tourney Day 2 hitting the water a little behind than I wanted to be but it’s a new day. Nothing really special to write about but I found 3 fish (finally a limit) all small but a limit. Fishing was tough for everyone even the leaders talked about the grind. To be honest for a couple days after the tourney I didn’t feel like I learned anything just felt like I couldn’t put it together, but maybe I was meant to learn a bigger lesson. Placing 24th midfield during the tourney I felt nothing was going my way and that wasn’t true it was just my pride getting in the way of my fishing, wanting to prove something. The bigger lesson for me when I fish for my pride I do my worst and loose the focus needed to just fish and without my friends new and old talking me off the proverbial ledge those are the things that count have nothing to do with where I place but the experience I have with others and the laughs we share. My pride getting in the way of thinking of how to fish better i spent time thinking I need to do better. The lessons I learn best are some of the harder lessons. 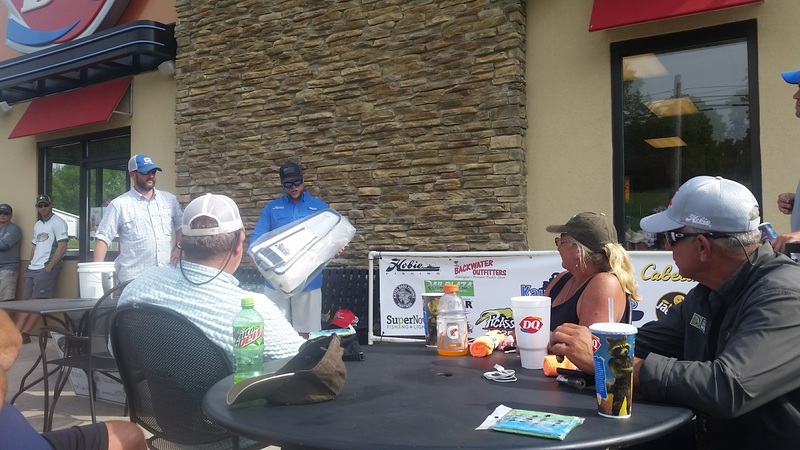 The story technically starts over a year ago, at the 2016 KBF Open on Kentucky Lake. 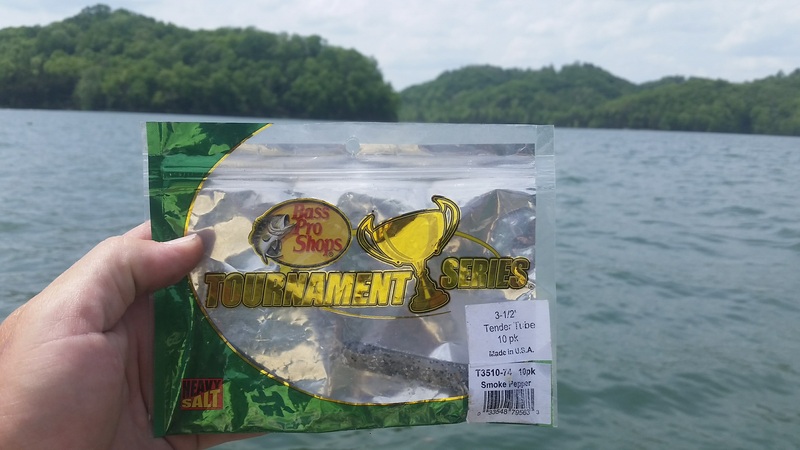 Having never been to Kentucky Lake, my buddy Bert Guthus and I made the long journey a few days prior to the start of the tournament in order to pre-fish and acclimate ourselves with the monstrosity that is Kentucky Lake. After a few days of fishing, we were dialed in. Big bass after big bass, we both had somewhere in the neighborhood of 100 inches on our final day of pre-fishing, a total that would certainly compete, if not win. Needless to say, we were pumped! The night before the tournament my mind was racing, going every different direction. I’m here and I’m ready to compete, but soon my thoughts are with my wife back home. At the time, she was going through some health issues, and I began to second guess my decision to leave her just so I could fish. 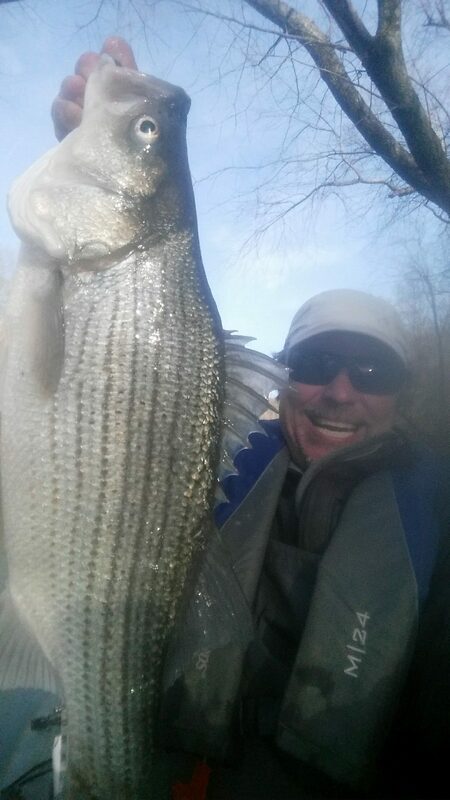 My wife, her illness, my decision to fish, these thoughts followed me throughout the first half of 2016 Kayak Bass Fishing season. Ok, back to fishing…The night before the start of the tournament, Mother Nature decides to throws a wrench in our plans. 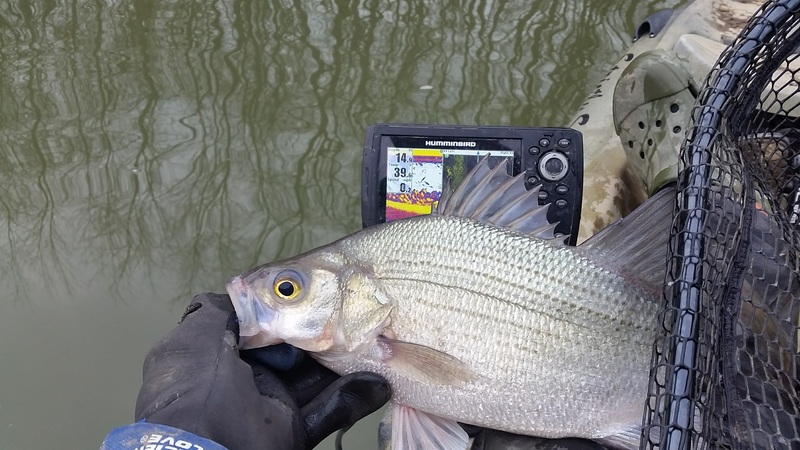 A cold front had moved through overnight which dropped the water temperature significantly, killing the bite we had found during our days pre-fishing. I was never able to make the proper adjustments and my focus just wasn’t there. I was not living in the moment. I was stuck, stuck on the pattern we found successful in the days leading up to the tournament. After hours of mindlessly searching for fish, and with no plan, I tanked. I ended the day with two fish, neither of which was big. On the long drive home from Kentucky Lake, my mind was focused on two things: my wife, and what I needed to do to make it back to Kentucky Lake and compete for a KBF championship. 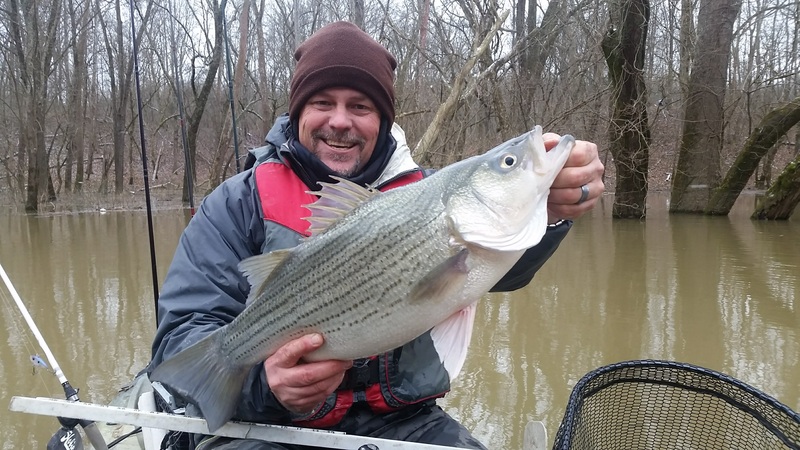 What began as fun get-a-way, turned into a year-long quest for any and all information pertaining to Kentucky Lake. 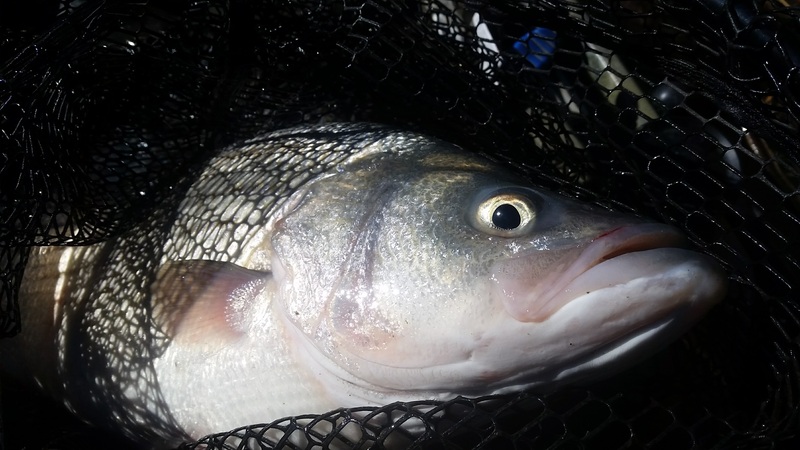 From techniques to tackle to location, I was consuming everything I could get my hands on to prepare myself for my return to KY Lake. To say I was obsessed would be an understatement. 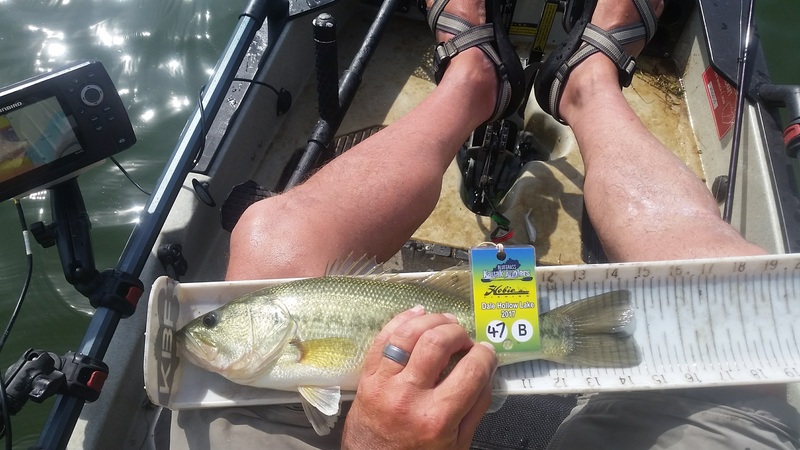 I was lucky enough to qualify for the KBF National Championship through our local trail (Buckeye Kayak Fishing Trail). With $35,000 guaranteed to 1st, I made it a priority to arrive early and pre-fish. I arrived on Sunday, which gave me 4 full days to pick the lake apart. Unfortunately, the first few days of pre-fishing did anything but help boost my confidence. I was able to find plenty of fish willing to bite, but the size just wasn’t there. My final day of pre-fishing was Thursday, and at the start of the day, I still didn’t have a Plan A or B that I felt gave me a realistic chance at taking home the Championship. The night before the final day of pre-fishing, my buddy Danny Bell clued me in on a few locations and techniques that he thought I should try. 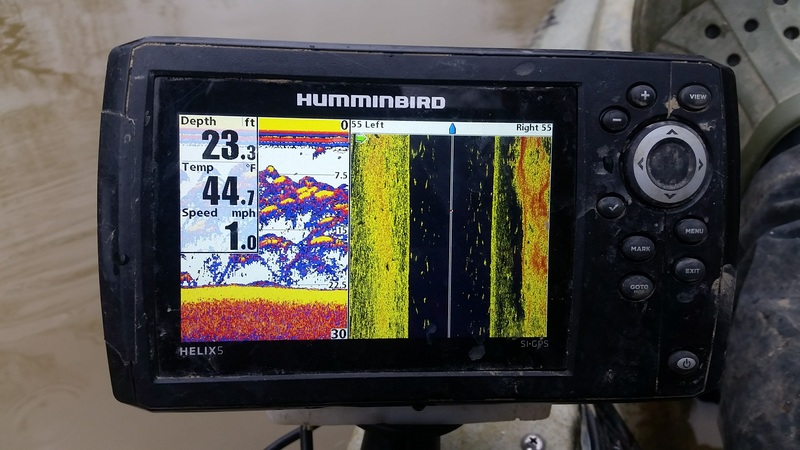 With this new info, I drove to 3 new locations during my last day of pre-fishing and found just what I was looking for: STAKE BEDS, secondary points and ledges, deep water, baitfish…this place was the magic spot I’d been searching for all week! Finally, with not another day to spare, I found my spot, my Plan A, and my Plan B. As the final day of pre-fishing came to an end, my thoughts were again focused on my wife. Thankfully, she is once again healthy and treatments are no longer necessary. The weight on my chest and the thoughts in my head were lighter and much easier to manage. Prior to becoming a die-hard kayak fisherman, I was the owner of a small Bicycle shop which I sold last year. This gave me the opportunity to work part-time and focus more of my energy on fishing. As great as this is, it is not something I felt I could not sustain without being successful in the major KBF tournament series. While I’m not normally a person who openly talks about religion or my feelings, this is exactly what happened and why it was such an important moment for me personally. I found myself having a conversation with God, asking for guidance. Soon I envisioned myself at a fork in the road. Normally, this would leave me with anxiety, worry, and a lot of second-guessing, but for whatever reason, I was content with the situation and was totally at peace. Whatever happens in the next two days, I’m okay with it and that’s what was meant to be. I’ve done all I could to prepare for this moment and I’m ready to leave it all on the table. Despite my excitement to begin what I’ve prepared so long and hard for over the past year, I found myself running on fumes the morning of Day 1. Sharing a cabin with 8 other guys is great, and the comradery and friendships that were formed that week are priceless, but it wasn’t conducive to sleep, especially for a light-sleeper like myself. After cursing my alarm clock to hell and back, I ease out of bed and grab a cup of coffee before heading out to my secret location. What the heck, two anglers (Shae McCord and Timmy Syrnarong) somehow beat me to my spot, and I’m an hour and a half early!! 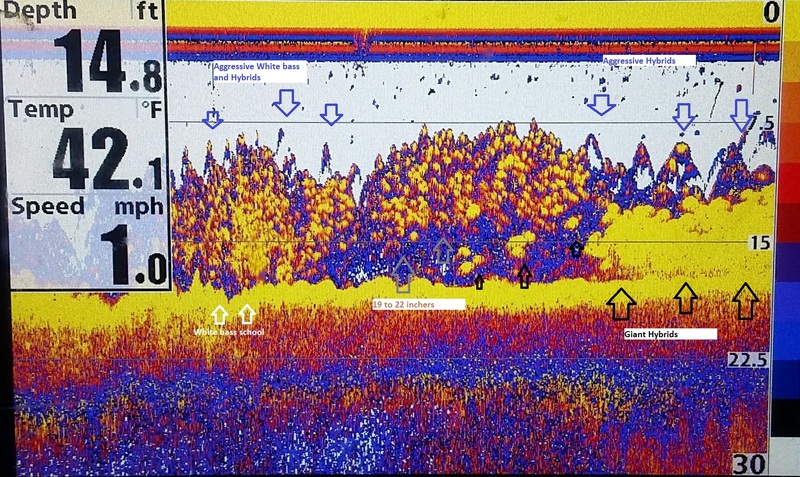 I soon realize I’m not the only angler taking this to the extreme. 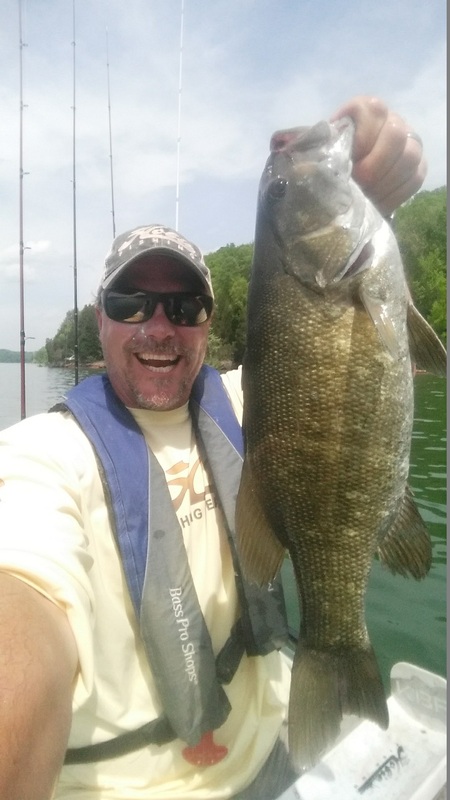 Despite the fact that this tournament is the biggest and most competitive kayak bass fishing tournament to date, not to mention the huge prize pool, Shae and Timmy greet me in the parking lot and treat me like we’ve been friends for years. This speaks volumes about the character that our sport attracts more than any words I could write. So after unloading my gear and finally getting on the water, I was met with a howling wind. Without my Hobie Pro Angler 14 and 180 reverse Mirage drive, I honestly don’t think I would have been as effective with my casts and presentation. After a quick scan of the area to check water temp and clarity, I soon realize that the pattern that worked so well for my buddy Danny, and worked so well for me the day before was still effective. The key to the first day was finding the bass relating to stake beds. 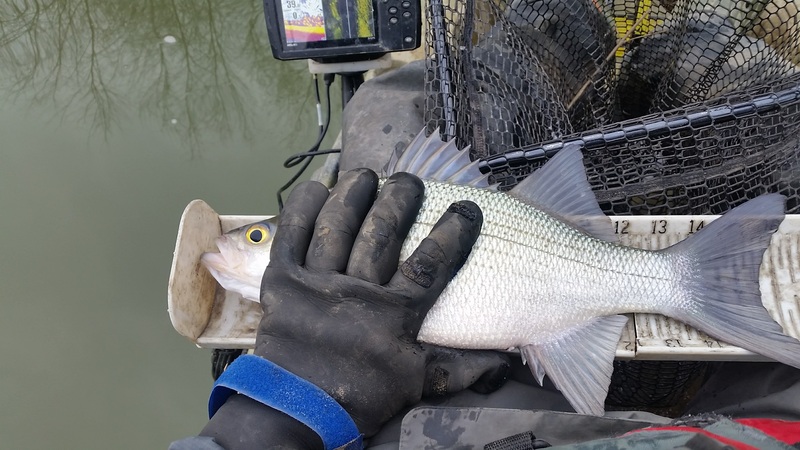 Using a simple Texas rigged worm, which I would consider one of my strengths, I found that dragging the bait in and around stake beds would be my Plan A. 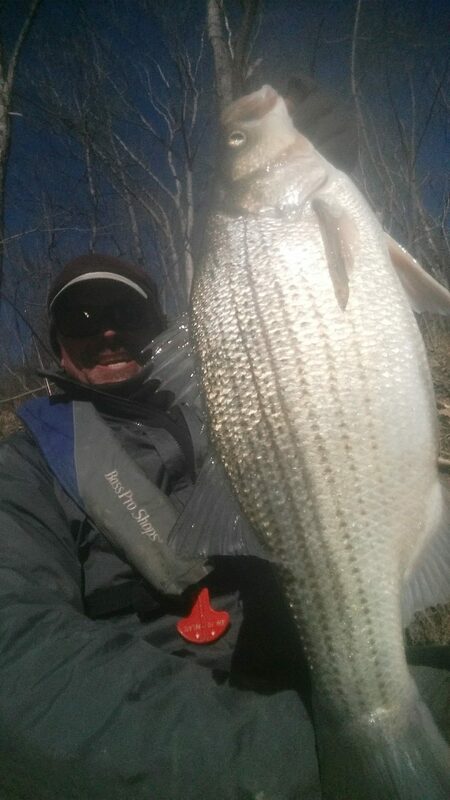 The real ‘light bulb moment’ occurred when I realized the bigger fish were locating just outside the stake beds. 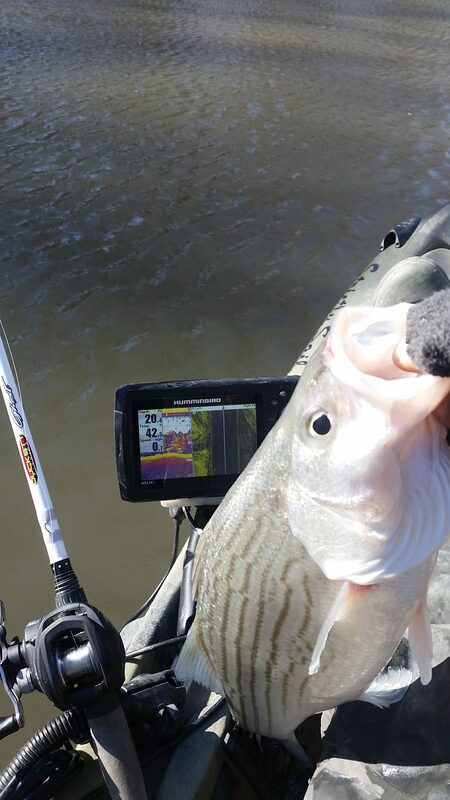 With the heavy wind and increase in current, the big bass seemed to be using the stakes as a form of current break. I took this new information and began pitching my lure directly into the stake beds and dragging it just outside of the stakes. Then, once outside the stakes, it was a finesse and twitching game. I went from stake bed to stake bed, catching numerous fish, but found the biggest fish around the larger stake beds. Just like everyone who has ever picked up a rod and reel, I do have a story of the one that got away. She wrapped around the stake bed and all I could do was watch her repeatedly jump and she was by far the biggest fish I hooked. Although my biggest fish did come unbuttoned, I was still able to end Day 1 with a total of 99.75”, good enough for 2nd place! Once again, I wake up and am completely exhausted. I have not slept well in nearly a week, and the fact that I ended Day 1 in 2nd place, sleep did not come easy that night. I had only one thing in mind, largemouth bass! After my cup of rocket fuel (coffee), I stuck my head outside just prior to hitting the road and I quickly realize the conditions for Day 2 is going to change the fishing. The thoughts of the 2016 KBF Open begin to haunt my thoughts. I know even before I arrive at my location, that I will need to adjust, be open-minded, and stay focused at the task in hand. After unloading my gear and yak, I’m once again on the water scouting the area and examining the conditions. The wind had done a 180 and was now coming out of the East, and water temp dropped to 6 degrees. After a quick and unsuccessful search for bass within the stake beds, I knew I had to enact Plan B. Plan B began by searching the mouth of the cove and some main lake ledges, which I was not looking forward to it, it’s just not my strength. 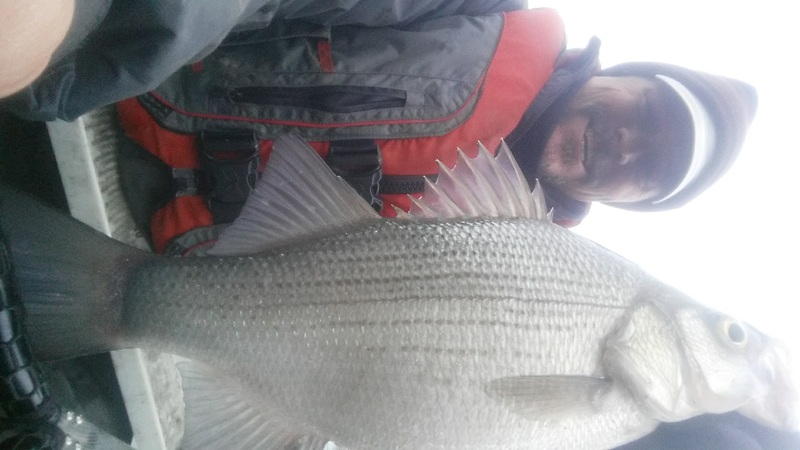 I was fortunate to find a huge school of fish sitting on a secondary ledge that went from 5’ to 15’. Now the problem was getting this school of bass to fire up and eat. I had tried just about everything in the box and was ready to give up when I finally hooked a decent fish in 5’ of water. That’s when I had another ‘light bulb moment’. 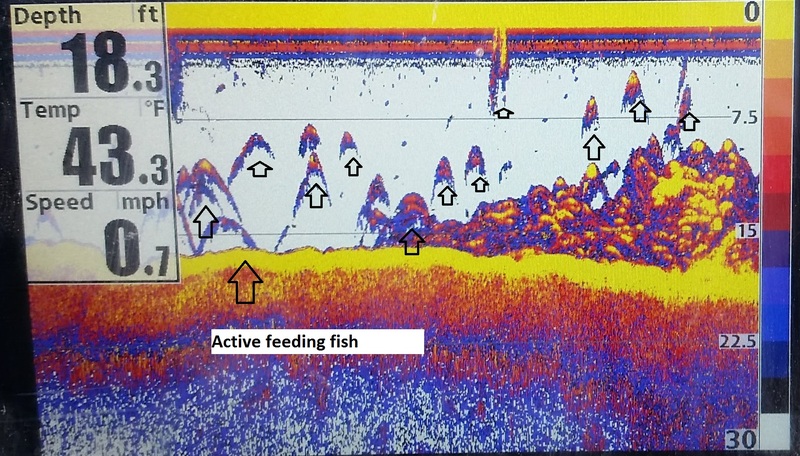 The fish that were in 12-15’ of water were not feeding and wouldn’t even sniff my lures, but the fish found at the top of the ledge located in 5’ of water were catchable. I downsized my worm and craw imitation and it was game on. Every hour or so, a couple fish would relocate in the shallow water and that’s when I would catch them. It was a slow and tedious way to fish. It was a practice of patience. I didn’t move my kayak off that ledge for 4 hours despite knowing that only every hour or so would yield a chance of getting a bite. 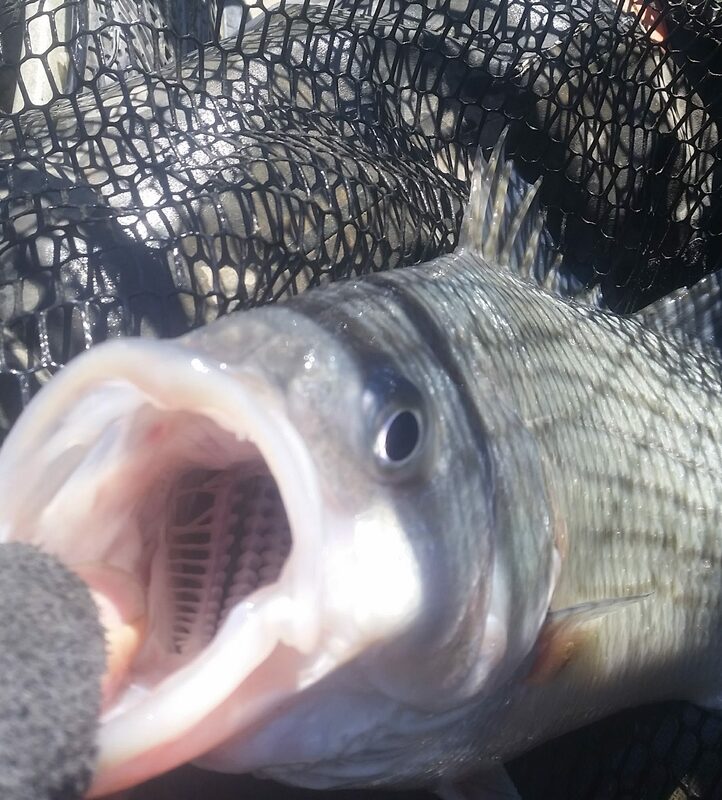 The bite was so slow, I almost left and headed to the check-in with 4 fish, one shy of a limit. With less than an hour to spare, I finally manage to land my 5th and final fish. You’d think I would be ecstatic being able to find a quality limit, but at this point in time, I was just too exhausted to be happy. Feeling like a zombie, I somehow load up my gear and yak and head back to tourney headquarters with a total of 88.75” on Day 2. It took longer than expected for the results to be finalized. I kept asking if I could leave and they were pretty adamant when they told me I need to stick around for the results to be read. Why can’t I leave? I just want to sleep!! No longer making any sense when i was talking, so tired that the thought of winning was the last thing on my mind. Why are they making me stay here!?! It never crossed my mind that maybe I had won and they were making me stay so I could accept my award. At roughly 3am, Chad Hoover grabs my hand and raises it, announcing that I had won the KBF National Championship Huge thanks to everyone who worked so incredibly hard you do the heavy lifting, you guys are all my heroes. After another night of little to no sleep, I left Paris and began my journey home. Wouldn’t you know it, my car starts acting up with about 300 miles to go. An ignition coil went bad and I had to limp my car home. All I wanted to do was get home see my wife and the dogs and it was a crawl the whole way home. I am still waiting to wake up but for as long as this dream lasts I’m running with it. The most important part and what makes this experience so special to me are my friends, new and old, you are what makes every day worth something. I cannot express enough thanks and gratitude to Strictly Sail Inc for taking a chance on me before anyone else ever noticed me. Hobie Kayaks, thank you for letting me be a part of your Team!!! There is no way I could have accomplished this alone!! Thank you everyone who made time to reach out to me. I hope to see you all on the water soon.